These earrings are fun and playful and handmade by myself with 14k GF ear wires. 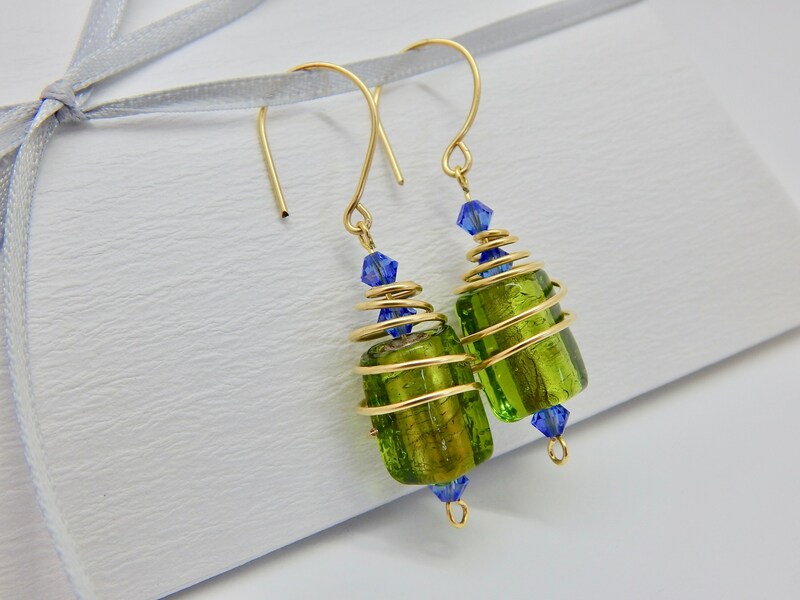 Brass wire spiral wraps around clear green handmade beads and blue Austrian Crystal beads. These measure approximately 2" long from earlobe hole by 1/2" wide.